We are the supplier of hair wigs and patches. There are various kinds of hair patches available in the market.The Monofilament front lace hair patch is comfortable to wear. Monofilament front lace hair patch is meant to cover the bald area. You can attached this wig using with clips, tapes and glue. 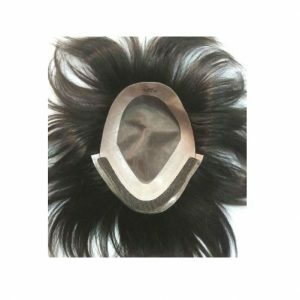 We supply best stock of super mono toupee on www.delhihairloss.com. Available in light, medium and heavy hair density. So if you want the durability of a conventional hair patch you can use this. Monofilament front lace hair patch knotting is good. It is available in different sizes and patterns and also these are available for men and women. 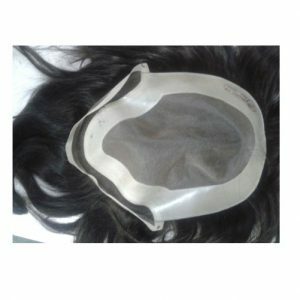 Monofilament front lace hair patch is for those persons who wants wigs made of 100% human hair. Here you can get the best quality of Monofilament front lace hair patch. Monofilament front lace men hair patch durability is from 8 to 12 months, depending on the maintenance. Since it’s not a skin base system having net at the base, monofilament front lace men hair patch comes with light to medium density that gives you a good natural look especially for the purpose of backcombing .The hair knotting is 2.3, so one hair knot would have two to three hairs. This is the best selling piece for the people having nominal budget. 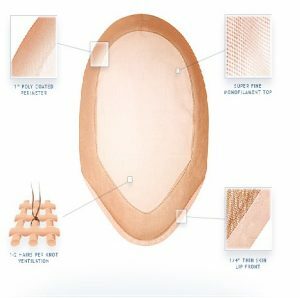 If you want your hair systems to look good , then why not choose the Monofilament front lace hair patch. It has clear skin. Monofilament front lace hair patch is one of the best looking hair wigs. It completely changes your look to a better one. In short, Monofilament front lace hair patch covers the area with less hair and can be attached using clips, tapes and glue. Here are some tips that can assist avoid some confusion and make sure that you get the perfect monofilament front lace hair patch which will suit your personality as you like. Usually, wigs made from human hair have a nylon mesh cap attached to their base to the keep the woven ends of the hair protected. It differs from wig to wig. People looking for a Monofilament front lace hair patch should choose the one with monofilament top wig cap. It is necessary for buyers to keep this in mind while looking for such hair patches as not all of them have this feature.